BRYAN EATON/Staff photo. 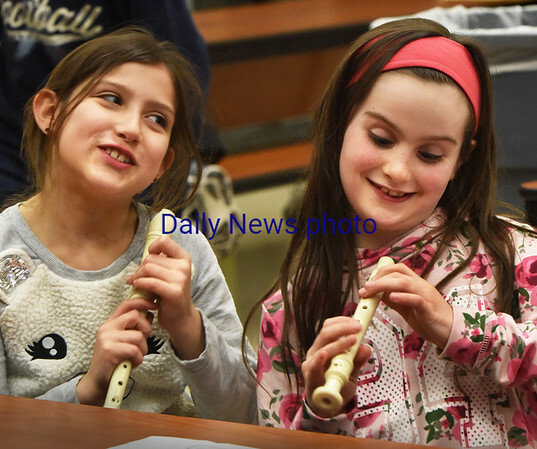 Samantha Evans, left, and Lillian Fulmer, both 8. try to get the hang of positioning their fingers over holes in recorders at Amesbury Elementary School. They were working on their music literacy and learning how to read notes in Alicia Harlov's music class.